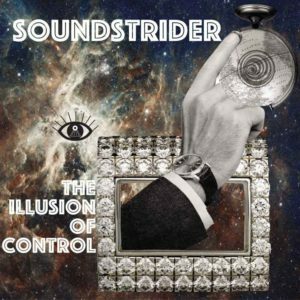 It’s been 3 years since the last Sound Strider release so this latest batch of aural delicacies has had ample time to marinate and evolve at live shows around the globe. Philosophically inspired snippets of speech pepper a lush, downtempo, rhythmic space constructed from location recordings, live instruments, and cutting edge digital synthesis. Echoes of hypnotic techno, psychedelic breaks and leftfield hip-hop result in another fine blend of genre-bending sonic experiments. This is the first Sound Strider release on his brand new imprint Red Tent Records, certainly a name to watch in the realm of boundary pushing electronica. Mastered by Audible Oddities with artwork by Avery Von Ringle. MP3 Download | FLAC Download | WAV Download · Download count: 3,424. Track 02 is “Escape Velocity” on MP3 d/l also. I really enjoyed this, it reminded me of early Shpongle or IM Converting Vegetarians. Very creative and melodic, awesome out of the box stuff! congratulations for this release and looking forward for your next ones !